In my work, I telepathically communicate with all species of animals, even humans. To telepathically communicate, I become deeply present within myself, and from this place, I can feel a being’s thoughts and feelings on all levels of their consciousness. I feel their day-to-day experience of life, as well as their deeper desires, repressed emotions, and untapped gifts. This experience is often very healing, for animals and people both. Feeling seen, heard, and understood on all levels brings a being’s consciousness back to its natural state of coherence. For animals, this brings a feeling of relief, and health or behavior problems often just dissipate. For people, this opens up new levels of self-understanding and brings alignment, clarity and will. Communicating with Wild Animals feels different. 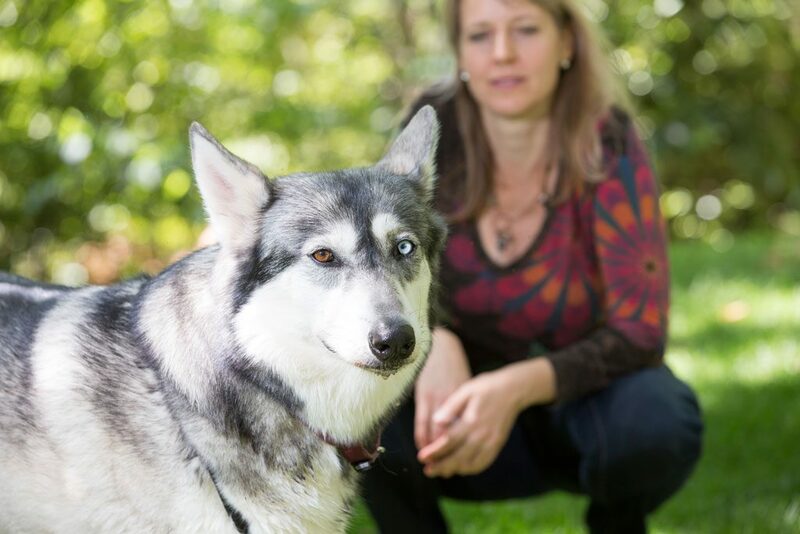 Then a few years back I started working with a number of clients who have wolf-dog hybrids. One client’s “dogs” were actually 70% wolf. And their consciousness was different. It was more pristine. I literally felt uplifted and clearer after translating for these wolf-dogs. I started to get the sense that wild animals have something intact in their consciousness that domesticated animals and humans have lost. For us humans, and the animals we keep, living in civilization creates a certain fragmentation of consciousness. Meanwhile for wild animals, the natural state of coherence that I help my human and non-wild animal clients reclaim, was never really lost in the first place. Wild animals, or at least those untouched by human civilization, don’t need the compassion of my animal communication sessions to return to a state of wholeness. They are living in it, ecstatically held in the Web of Love and Life. Communicating with Whales feels really different. On my quest to learn and experience more about this, I started connecting telepathically with whales in 2013 when I was on Maui for the first time. First of all, being on Maui during whale season is simply magical. 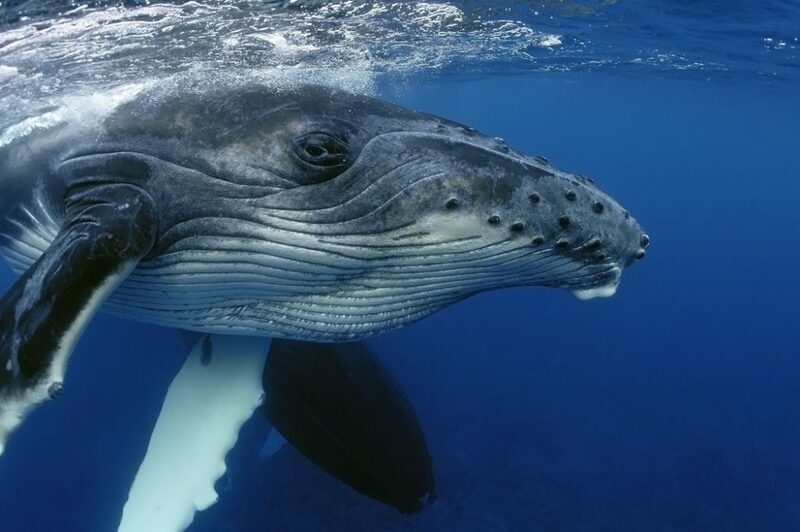 Every year from December through April, the North Pacific Fleet of Humpback Whales swim down to the warm shallow waters around the Hawaiian Islands, especially Maui, to have their babies and mate again. If you have never been, consider going. There is nothing like it. Witnessing these school-bus-sized beings shoot up out of the water in sheer joy will send chills through your system and thrill you on a cellular level. Their celebration of Life is contagious. In 2016 I took a group of students there to go out on the water and connect with the whales in their own space, on their terms. It was astonishing. On all three outings, whales swam directly under our small private charter boat, just a few feet under the surface so we could see them clearly. And on one of the outings, we had about 12 whales swimming around the boat, peeking their heads up out of the water to see us, “the humans with the golden hearts,” as one baby whale described us in a telepathic image. And on the last outing, we took the boat out pretty far to rendez-vous with a group of whales. I had made telepathic contact with a grandfather whale, and he gave us directions as to where to go. “We are over here, waiting,” is the thought the grandfather whale sent when I asked him at the start of the outing in what direction we should head. As we drove further and further out to sea, I could feel the boat captain and my students quietly doubting our course, as there were few whales out that day. But then in the distance, we saw them: four whales splashing around, breaching, showing off. They were having a whale party, and waiting for us to join them. These whales swam around our boat for about an hour and a half. They breached multiple times. My boat captain, John Fisher (no kidding, that’s his name), has been on Maui 26 years. 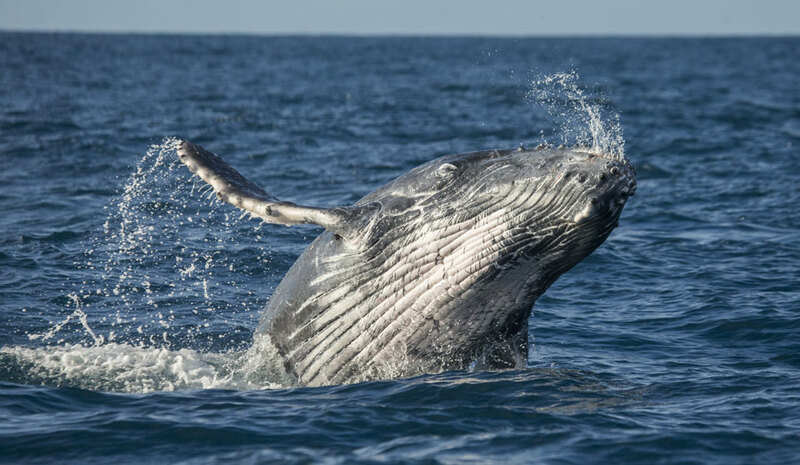 He was stunned along with the rest of us, and said he has never been so close to a whale that we could actually hear them breathe when they leapt out of the water into the air. The whole experience was phenomenal. So why is communicating with Whales so different? Since then, I have maintained a telepathic friendship with these magnificent beings. I communicate with them about Life, about the relationship between humans and animals on our planet, and about my next trips to visit them in person. And just like in my practice, I connect with one whale at a time, feeling his or her distinct essence or personality, and getting his or her opinion on things. After a recent communication, I was reflecting on how I literally feel tingly after communicating with whales telepathically. I remembered how pristine it was communicating with the wolves, but this was somehow different, even more coherent, more pure. And there was no sense of whales having repressed, hidden layers of their being. They felt “all there,” totally present. This total, complete presence in themselves has to be why being around whales is so magical, so healing. I am sure that they are learning and growing while their spirits are in a body, just like all animals. But if they are here, like the rest of us, to learn and grow and shine more of their light in the world, it must be a gentler, more fluid process for them. Because that is how their consciousness feels—open, fluid, clear, and really big. Not fragmented, incomplete, misaligned. Then I thought of something that my meditation teacher once said about whales. From an evolutionary perspective, when you look at a whale’s skeleton, their spine doesn’t split where ours does at the legs (to walk on land of course). This continuation in their spine, and their size, allow for a greater integrity in their consciousness, a greater sense of wholeness. I wondered if what my teacher was saying is that whales can hold all or most of their light, their essence, while the rest of us are still trying to realign with and incarnate more of ourselves. Like any human who craves experiences of joy, wonder, compassion, and opening, I want to learn to hold all of my light, to be all of who I am. Whales have something to teach us about this. If this speaks to you, too, consider learning animal telepathy with me and then joining me on a communication adventure with the Humpback Whales in Maui the next time I go. It will be an epic experience!